Super thin, ultra conceable, and easy to configure, the Beretta Pico sets a new standard for the micro compact carry pistol. 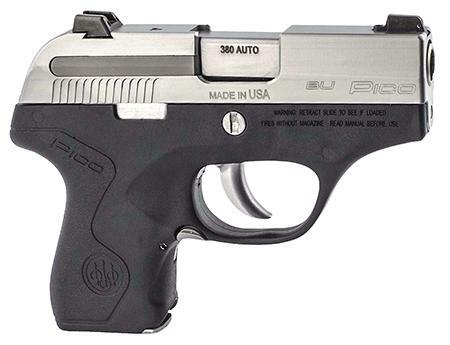 The Pico is the thinnest .380 auto made by a millimeter. The Pico's snag-free slide and frame is a true 18 mm at the widest point. The grip frame, sights, and caliber are all simple to modify. (It can go from a .380 to a .32ACP by changing the barrel.) Extremely soft shooting with a double action trigger, the Pico is easy to control with its smooth, tip-to-parallel, straight line action. The removable, serialized sub-chassis and modular frame feature simple disassembly for easy cleaning and customizing. The dovetail quick-change sights can be adjusted or replaced by the user.  Light, durable, and easy to draw from concealment, the Pico brings all the reliability and quality of a Beretta to bear on its standing as the leader of a new generation of concealed carry firearms.